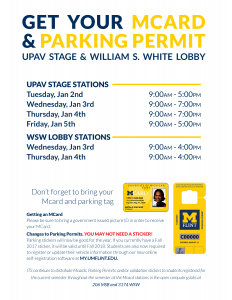 Before the semester’s grind sets in, be sure to get your parking pass and MCard situated! 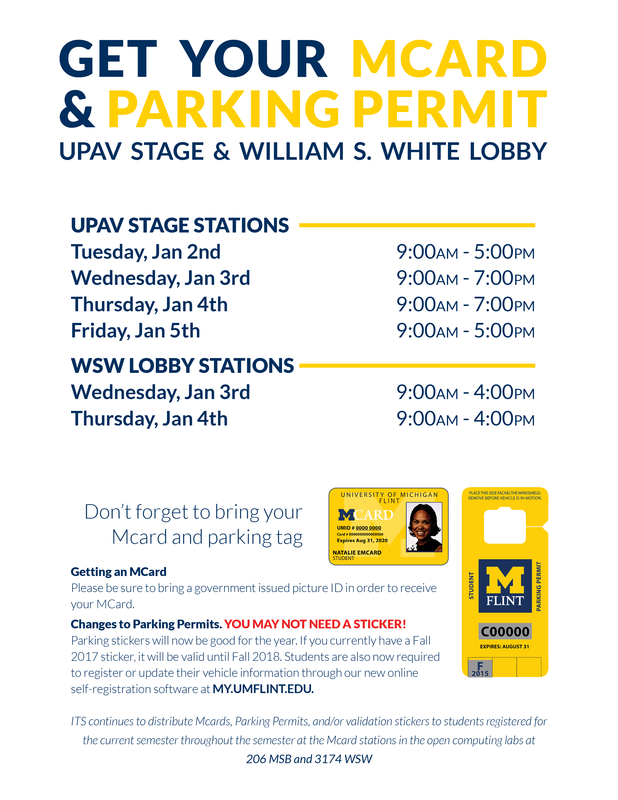 We will be handling all MCards and parking passes at our UPAV and WSW tents, check out their schedules below. After the listed times each day, you can get assistance at the ITS Helpdesk. Heres to a great semester and new year!